One terrible decision leads to another and the Parker and Quinlan families find out what it means to be in total despair. In a moment of recklessness, Blake Quinlan does something he never should. The bitter consequences of his impulse will reverberate through the rest of his life unless he learns to deal with his past. Without warning, Claire Parker’s world shatters. One horrific event leads to a choice that she can never forget. She must find a source of strength and forgiveness to help her recover or she will never again be the happy person she once was. Moving forwards there is still hope. A triumphant story about forgiveness, new beginnings and the power of love that cuts straight to the heart. The writing is completely engaging. I sat down to just read a chapter and finished the book that same day. I had to read it all. It almost starts off like a fairytale and then things go wrong for a while, but I would consider the latter half to pick up where the fairytale left off. The characters. I loved Claire, and I so rarely like my heroines. And more so than Claire, the author made me care about Blake. Somehow the boy touched my heart and let me say this is not the first time that I’ve read a story where someone forgives someone who hurt them to the point where they’re best buddies. But in the other novel I read, I just didn’t believe it. I had serious problems with it. But I believed in Blake, and that really carries the novel. I really enjoyed all the other secondary characters as well (with, maybe, the exception of Claire’s dad). The serious issues. I like my stories light and fluffy. If I want serious, I turn on the news. But they were handled well here. They were handled with hope and love and you knew God was going to take care of them. Spiritually, there are a lot of things going on here, to the point where you know the author has spent some time with God. Forgiveness, trusting that God has a better plan for your life, learning to walk in love, recognizing who God is, not limiting God, these are only some of the topics the novel covers. Nothing that I didn’t expect. There was something that happened that I wish didn’t happen, but that’s part of the story. Overall, very good. Worth reading even if you love light and fluffy. Thoroughly engaging without being dramatic. Read it! You’ll be blessed. Thank you very much 🙂 I’m glad to hear you read the story in a day, not to mention liking Claire and Blake. Thanks for now having reviewed both my first and most recent novels (with several over time in the middle). 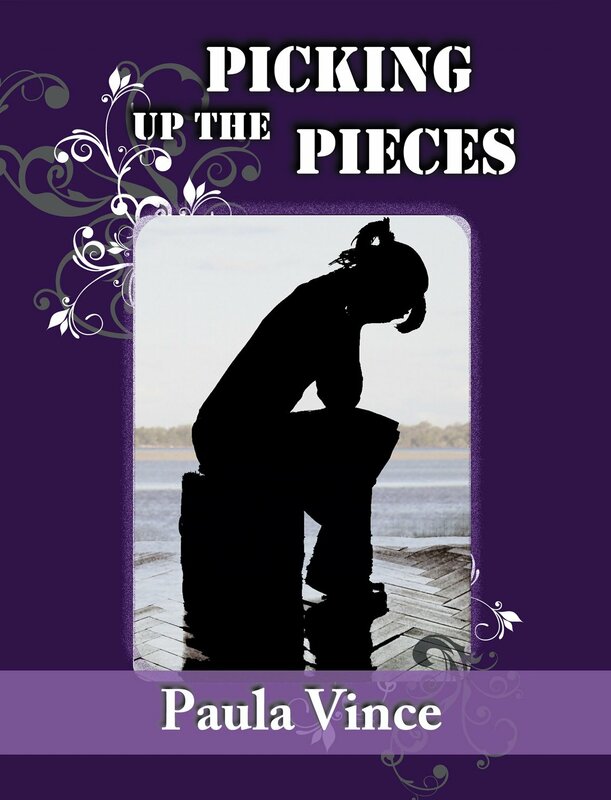 With the enthusiasm of a newbie, I’d decided to tackle many issues in Picking up the Pieces, as you discovered 🙂 Love it when it’s still being read. Thank you, for sharing your books with me!